To listen to chapter one, click on the picture of the book. To download to your computer, right click on the picture and select “save link as”. To continue to listen to chapters 2-20 click on the chapter links below. 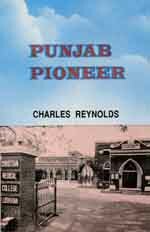 Punjab Pioneer, by Charles Reynolds, is a biography of the life of Dr. Edith Brown, a missionary to India, who founded the medical school which has become the Ludhiana Christian Medical College, in Northwest India, in the city of Ludhiana, in the state of Punjab. Out of the hundreds of medical schools in India, Ludhiana CMC is ranked among the top twelve. Charles Reynolds, served as a missionary in India and for many years was the Executive Director of the Ludhiana Christian Medical College Board USA. The book unfortunately has been out of print for years. We are grateful to Rev. Roberta Jones who has read the book for us so that others can listen to this amazing story of dedication and courage. Rev. Jones served as Executive Director of the Ludhiana Christian Medical College Board USA for many years and retired in 2012.